NEC commits to empowering people and society through continuous innovation in every area of their businesses, fueled by their passion for innovation and customer-focused spirit of collaboration. The best communication system for regulating the phone traffic in your specific company can be determined by a number of factors, such as the size of your business and number of workstations. One of the solutions in the range offers the perfect hidden advantage for your business communications. 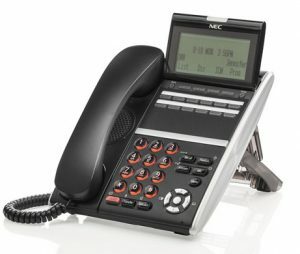 NEC’s UNIVERGE Desktop IP Phones provide all the features and functionality of traditional phones with the seamless integration of advanced IP applications. Integration of voice and data is no longer limited to the network or the PC desktop; it is now in the end-users’ hands, providing role-enabled communications as part of NEC’s UNIVERGE360 approach. UNIVERGE Desktop IP Phones provide all the features and functionality of traditional phones with the seamless integration of advanced IP applications. Integration of voice and data is no longer limited to the network or the PC desktop; it is now in the end-users’ hands, providing role-enabled communications as part of NEC’s UNIVERGE360 approach.